Fall finally arrived like a freight train roaring into the station overnight. When I went to sleep Saturday night the wind was howling outside my window, and when I woke up on Sunday many of the trees that were green on Saturday were now bright red. The temperature had dropped to 33 and there was frost on the pumpkins. It felt really cold after the recent hot weather, and I was forced to give in and turn on the heat. 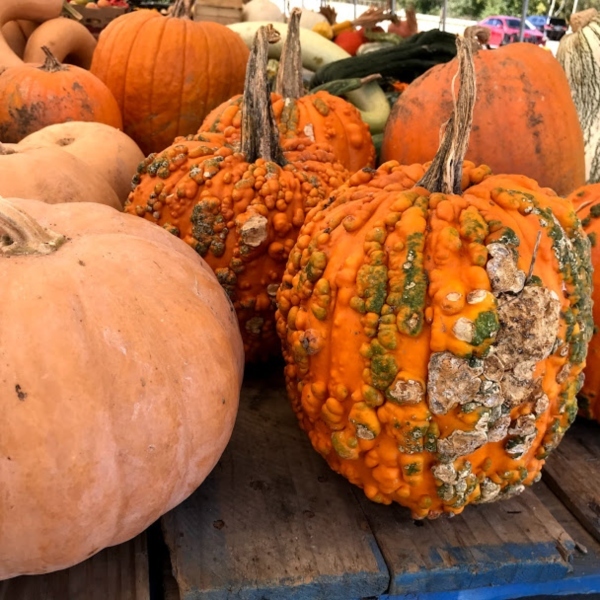 I love all of the varieties of pumpkins that were at the farmer's market. Some are meant for stacking, while others are perfect for carving, and then there are those that are just interesting to look at. 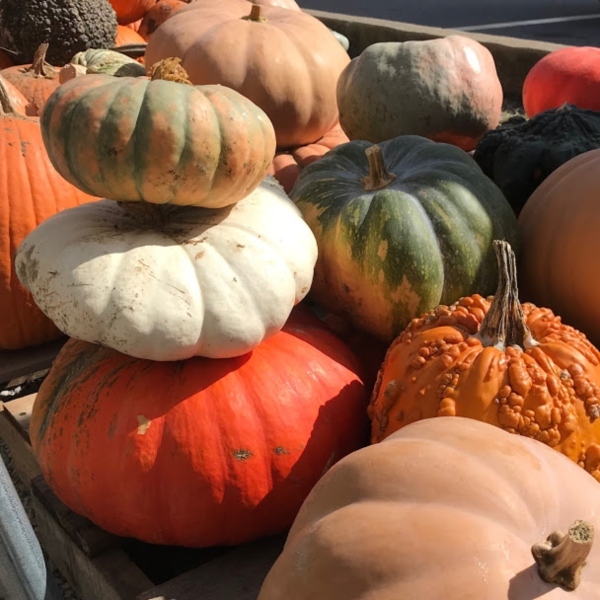 I don't have anywhere to display all of these pumpkins anymore, but I loved wandering around looking at them. 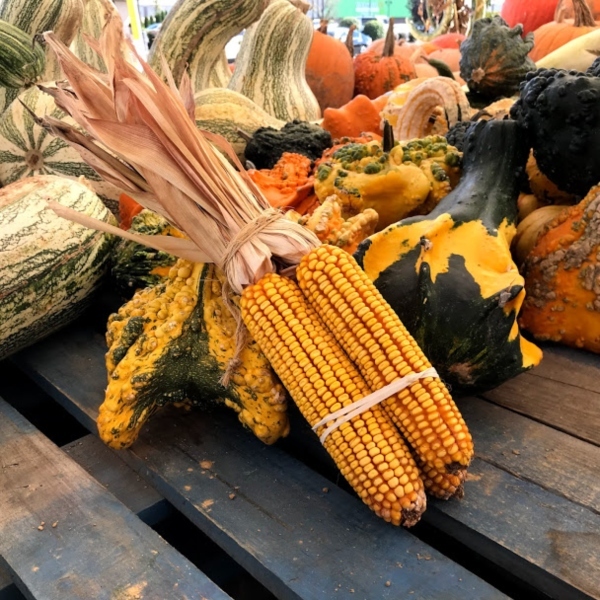 There were lots of interesting gourds and Indian corn too. 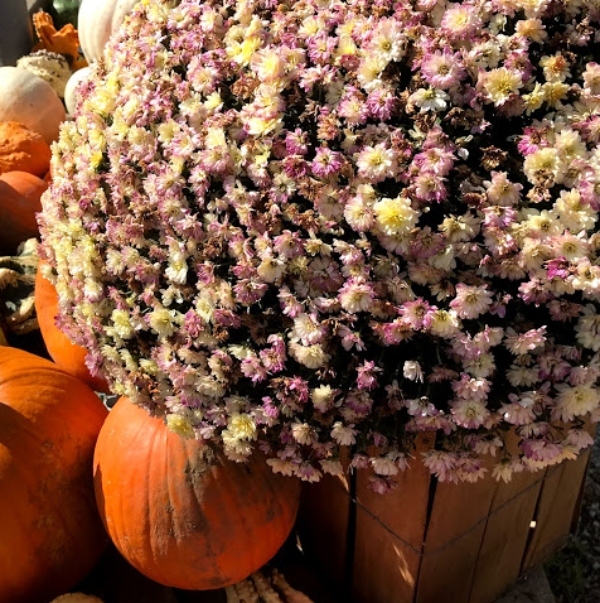 Wouldn't they look fabulous on a Thanksgiving table? now that it is finally fall I am going to get out and enjoy the changing season as much as possible. I'm looking forward to the sound of leaves crunching under my feet. P.S. Have you checked out 415 Maxwell? It's my new shop where you can find all things vintage. It did the same thing here for the first part of the month and now the weather has evened out a bit, but it's gorgeous out. I didn't know you had a shop online, but I saved it. Thanks, Rue. It's a new shop. I drove out in the country yesterday and noticed that the trees were not changing yet. I'm looking forward when they all do. Such pretty images. With the rain we had this summer the leaves are just falling which makes me sad. Our falls are usually stunning. Love the tree. We had a lot of rain too. I;m hoping that more of the trees start changing. I live in an apartment with no out door space of my own. I really miss being able to decorate outside. 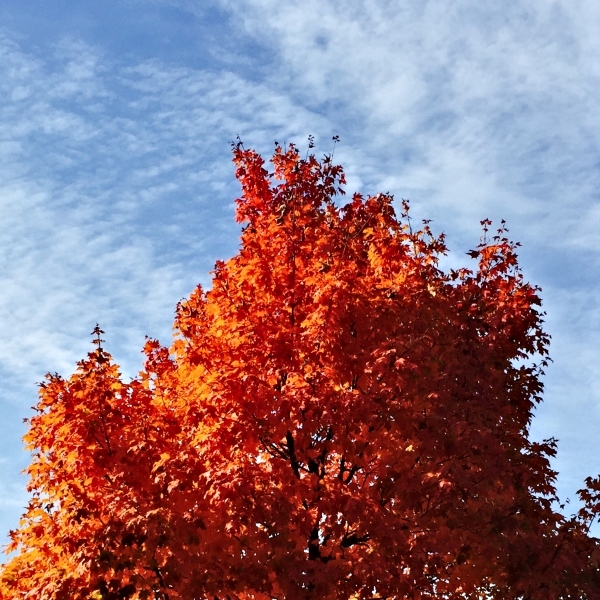 Lovely fall photos, Laura! Congratulations on your new shop! Such lovely photos. I noticed yesterday that we are getting some Fall colors on the trees. I need a good walk in the park! A walk in the park sounds great. We haven't had a frost yet. The tree leaves aren't even really turning much yet from what I can see around here. The frost we had this weekend was a bit early for us. Wow you really did go into fall overnight, that's amazing, Laura! Fall never lasts long enough, does it....we are expecting snow this weekend, that's the end of it for us it seems! Thank goodness no snow here yet. I've heard that we are going to have a mild winter. I hope so. I'm not a fan of cold. Thanks, Susie. I'm planning on getting out this weekend if it doesn't rain the entire time.